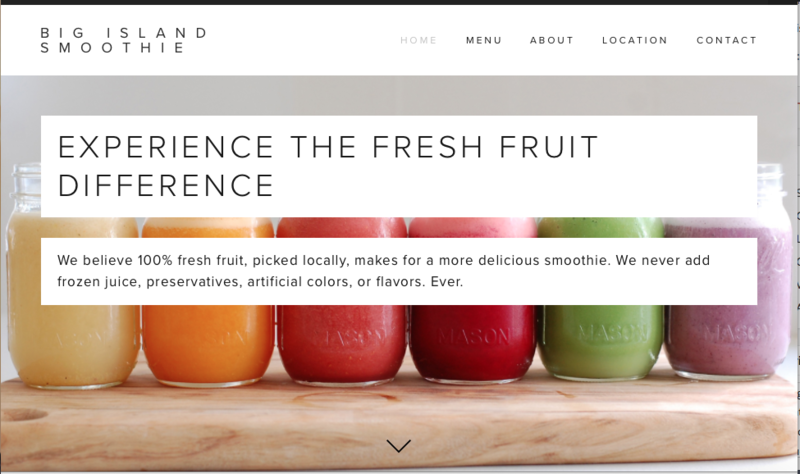 Wonsupona rebrands Raleigh-Durham Big Island Smoothies with new website content and design. When Raleigh-Durham-based Big Island Smoothie approached us for a rebrand, we jumped at the challenge. Creating a new website design and content for a colorful (and delicious) brand is always an exercise in fun. We started the project by interviewing Big Island Smoothie owner, Fasil Tesfaye, to learn more about his goals for the rebrand. Fasil was looking to create a clean and modern site with pops of color that told the story of Big Island Smoothie’s differentiator: fresh fruit. While he wanted to keep the original logo, he was open to taking the brand in a new direction. And we listened. The result is a sophisticated website and collateral system that tells a story of health and a passion for flavor. 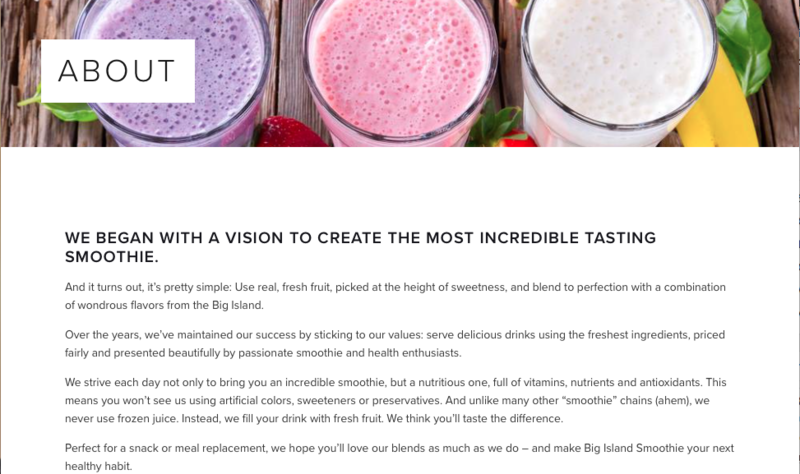 Bold headlines and smart copy showcase Big Island Smoothie’s commitment to freshness and creativity. A colorful design system complements the new text, featuring colorful illustrations to match the existing logo. Best of all, the website is easily updatable, making menu changes a breeze.